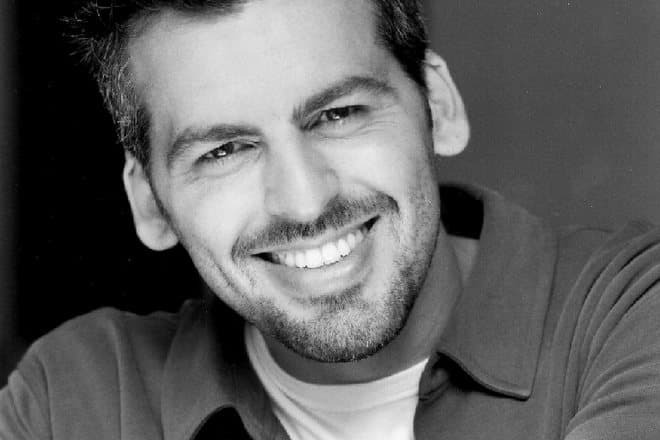 An Israeli actor Oded Fehr is one of the international film stars who interest the viewers. Moreover, he was retained in their memory and took the fancy from the first roles. His exotic appearance and the doubtless unschooled talent attracts observers and directors both, so he is a frequent guest of major film projects such as The Mummy, Resident Evil, TV series Charmed and so on. 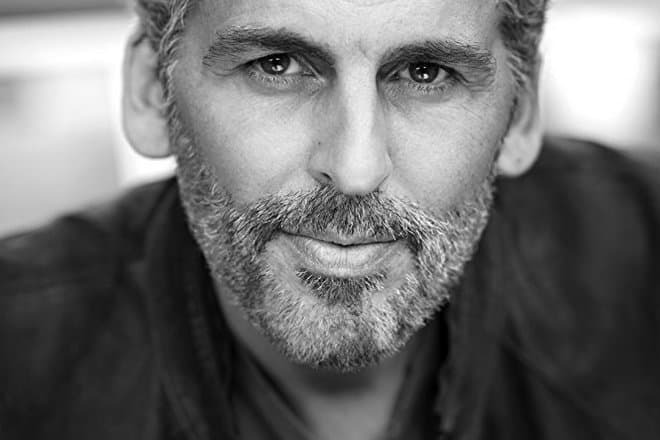 Oded Fehr’s biography started on November 23, 1970, in the biggest city of Israel, Tel Aviv. The son of Gila (née Lachmann) and a Jerusalem-born Uri/Ury Ernst Fehr. His parents' families are Ashkenazi Jewish, living in Central Europe: the mother had come to Israel from Germany, and his father, a native of Jerusalem, was raised in the Netherlands. “Oded” is a Hebrew name. It appears twice in the bible Torah. His last name Fehr's origin is German. It goes back to the German word ”Fähre” meaning “ferry”. 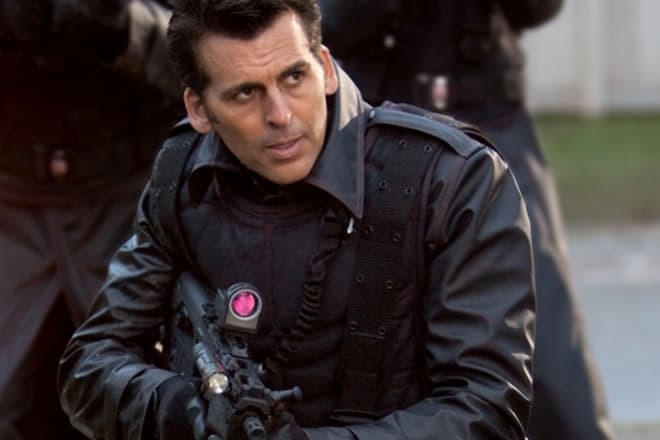 Oded Fehr had been educated until the age of 18 when he had been serving in the Israeli Navy for three years since 1989. When his National Service duty was over, he moved with his parents to Frankfurt and used to work security for the Israeli airline El Al in Germany. There Fehr started a business with his father, following in his footsteps because the young man thought that after a while he would take the helm of the family marketing company which brought a return redundantly. However, after a half a year of training, Oded lost interest in the sciences. In quest of himself, Fehr took a very brief drama class in The English Theatre Frankfurt, Germany, and even played in a local production of David Mamet’s play Sexual Perversity in Chicago. Discovering his passion, he dropped the idea of a business career in favor of acting and moved to England, enrolling at the Old Vic Theatre School in Bristol, where he studied for the next three years. He debuted as Don Juan in a production of Don Juan Comes Back from War at the Courtyard Theatre in London. 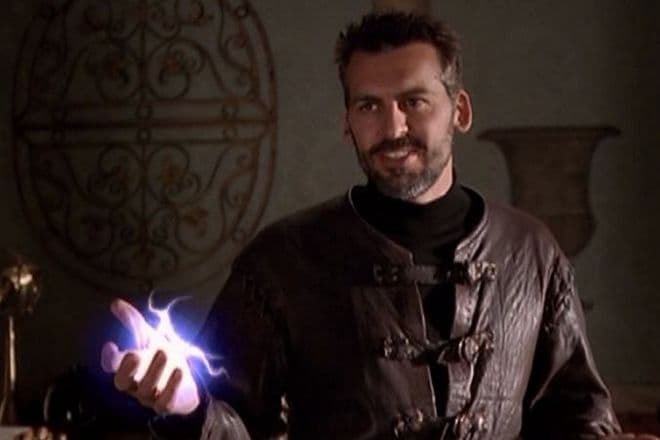 After two minor roles, Oded Fehr completed many television mini-series, including Killer Net (1998) as Victor, and Deuce Bigalow: Male Gigolo as Antoine Laconte. Due to such roles, he immediately reached success. In 1999, an American action film The Mummy released with the film stars Brendan Fraser and Rachel Weisz as leading roles. Oded’s notable appearance became recognizable for the movie’s director Stephen Sommers, who offered the actor the part of Ardeth Bay without audition. The character is the chief of the Medjai, the Muslim descendants of the royal bodyguards. Fehr said in an interview that filming took place in Morocco, and it was not the easiest one: sandstorms and heavy rains were daily inconveniences. One time, a continuous downpour caused the flood, so the crewmembers and Fehr had to be evacuated by helicopter. The Mummy unexpectedly became the blockbuster film and grossed $43 million in 3,210 theaters during its opening weekend in the United States. The film went on to gross $416 million worldwide. The box-office success led to the sequel - The Mummy Returns (2001). In this movie Ardeth Bay again helps his friends- archeologists Rick O'Connell and Evelyn Carnahan to send to the Underworld creatures that must remain dead. With the incredible success of the Oded’s role, Hollywood doors flung open for Fehr who quickly started to fill his resume with other projects like NBC series UC: Undercover (2001) about an elite Justice Department crime-fighting unit of United States. In 2004, the actor cast in an action horror movie Resident Evil: Apocalypse as Carlos Oliveira, the second main character in a computer game Resident Evil. Then he appeared in the sequels: Resident Evil: Extinction (2007) and Resident Evil: Retribution (2012). After several significant roles, Fehr played the most powerful demon Zankou in the seventh season of fantasy drama TV series Charmed. His next pictures include a drama movie The Betrayed (2008), horror Super Hybrid (2012) as central roles, as minor characters - science fiction television series V and fantasy drama television series Once Upon a Time. In September 2018, the first season of a promising space saga The First was released about the first settlers who have to make a settlement on Mars. 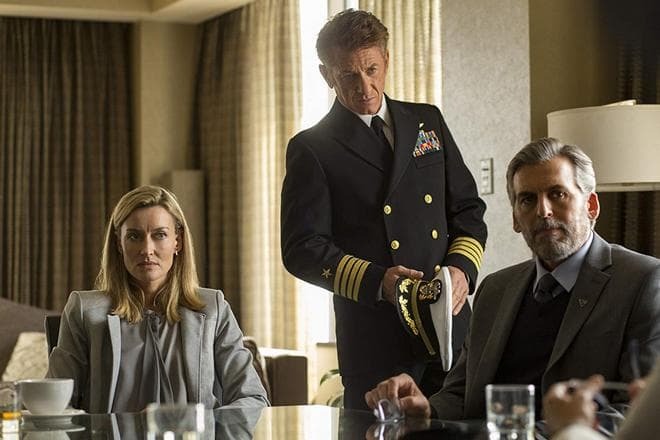 Oded Fehr was in the cast including Sean Penn, Natascha McElhone, LisaGay Hamilton, and other famous American actors and actresses. Besides acting, the Israeli is also a voice actor of cartoons. Fehr is a fan of the DC Comics universe. He provided the voice of Doctor Fate in Justice League Unlimited (2003-2005), Equinox in Batman: The Brave and the Bold (2009-2011), Ra's al Ghul in Young Justice (2011-2013). 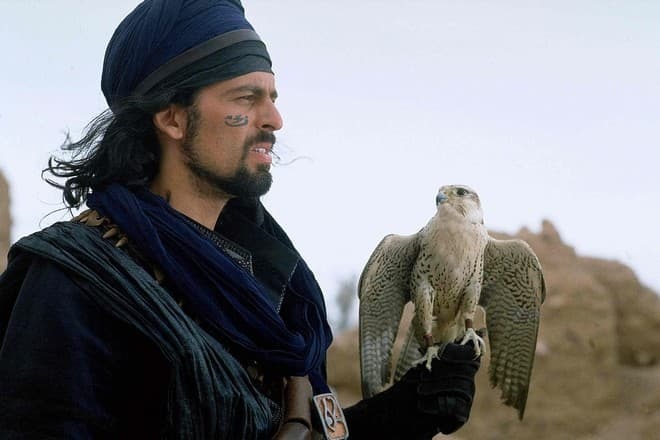 An eventful and creative Oded Fehr’s career of different roles is balanced by his family own life. In December 2000, Fehr met a girl named Rhonda Tollefson, the future wife and the mother of his children, at a Los Angeles opera. The couple has three children: son Atticus (born January 4, 2003), daughter Finley (born February 26, 2006) and daughter Azelie (with unknown date of birth). The actor prefers to keep his personal life in secret, so there are no publicly available family photos. Fehr is more active only on Twitter than on Instagram. According to his view, Oded likes to take pictures of his wife and children for himself rather than for the public. Fehr speaks fluent Hebrew, English, and some German. He was raised by the Hebrew, but did not adhere to a particular religion. The actor works out in his free time – he runs and attends sports club very often. It allows Oded to keep his body well-shaped with a height of 187 cm and a weight of 90 kg. 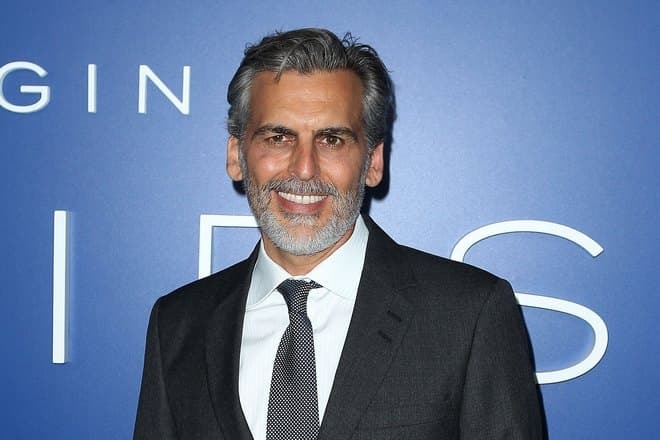 Now Oded Fehr consecrates only on TV series The First, which shootings, probably, will be continued in 2019. In addition to this, Fehr features in a national Israeli drama television series When Heroes Fly. The plot is about four former IDF veterans who served together in the 2006 Lebanon War, they reunite and travel to Colombia in search of a loved one they'd presumed to be dead. His estimated net worth is $46 billion.